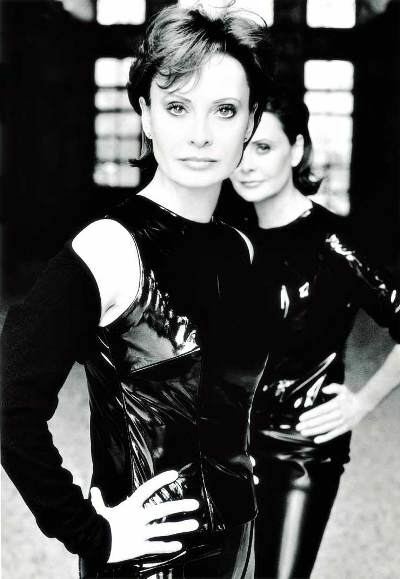 Güher and Süher Pekinel were born in Istanbul in 1953 as identical twins. The Pekinels received their first piano lessons from their pianist mother. They appeared in public first at the age of six, and by nine years old they made their orchestral debut with the Ankara Philharmonic Orchestra. They have studied at the most prestigious Music Schools such as Conservatoire de Paris, the Frankfurter Musikhochschule, Curtis Institute of Music in Philadelphia and Julliard School in New York. Their teachers were: Rudolf Serkin; Claudio Arrau; Leon Fleisher; Adele Marcus and Yvonne Loriod in solo and Mieczyslaw Horszowski in duo. At the age of 18, the Pekinels shared the first prize at the German National Piano Competition as soloists, followed by several first prizes in national and international competitions in Germany, Italy, France and USA as a duo and also as soloists, including the first prize in representing Germany at the UNESCO World Piano Competition in 1978. 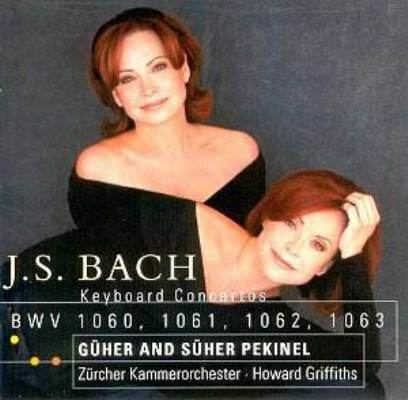 Following their musical training, Güher and Süher Pekinel were first discovered by Herbert von Karajan in 1984 and engaged to appear at the Salzburg Festival, to which they returned frequently in subsequent years. They have since embarked on a worldwide career and played with leading orchestras, including the Berlin, Vienna, New York and Israel Philharmonic, Concertgebouw Amsterdam, Royal Philharmonic, London Philharmonic, Cleveland, Los Angeles Philharmonic, Tokyo Philharmonic, RAI Milano, St. Cecilia and many other orchestras. Extended recital tours took Güher and Süher Pekinel to the major music centers and most important festivals of Europe, the United States, and Japan. A special event was a performance at the opening concert of the Wiener Festwochen in Vienna with the Vienna Philharmonic and Zubin Mehta, which was broadcast live to 23 countries worldwide through the Austrian television. Among the 2000–2001 season’s engagements were recital performances in Germany, Switzerland, Hongkong Art Festival as well as concerts with the Dresden Philharmonic at the Semperoper in Dresden and the Gulbenkian Orchestra in Lisbon. In addition, they appeared in two gala concerts in Lucerne, Switzerland with the Wuerttembergische Philharmonie and with the Orchestre Philharmonique de Monte Carlo and Marek Janowski for the opening of the new concert hall in Monte Carlo. The season 2001-2002 saw new series of concerts with the Trio Jacques Loussier in Germany, Switzerland and Italy. Their concert at the Schwetzinger Festspiele in June 2001 was broadcast live by SWR TV and radio. Other performances include concerts with Wiener Symphoniker, Orchestre National de Toulouse, Orchestre Philharmonique de Monaco, Zuricher Kammerorchester and Philharmonisches Orchester Hamburg and Braunschweig as well recitals in Germany, The Netherlands, Switzerland, Italy, Denmark, Norway and France. They toured with Zubin Mehta and the Israel Philharmonic including Tel Aviv and Jerusalem (Israel), following concerts with Zurich Chamber Orchestra in Switzerland, Austria, Germany and recitals in Germany, Czech Republic and Italy. The Pekinels performed the Mozart concerto for two pianos at the Salzburg Festival and gave concerts with the Frankfurter Museumsorchester under Michel Plasson at the Alte Oper in Frankfurt, Germany. The Pekinels made numerous recordings of most important duo-piano literature for well-known labels. Two recordings were released in 1999 and 2000: one was with the London Philharmonic Orchestra and Sir Neville Marriner, featuring the Bruch, Mozart and Mendelssohn concertos. Their recording in collaboration with the renowned Trio Jacques Loussier on jazz renditions of Bach’s concertos for two and three pianos, Take Bach had worldwide record sales. In 2002, a CD containing a recital program of Brahms and Saint-Saëns works was released. In June 2003, Pekinels recorded complete Bach two and three piano concertos with the Zurich Chamber Orchestra and Howard Griffiths. There is another CD on a recital program of Brahms and Säins Saens works. In 1991, the Pekinel sisters received the title of State Artist from the Turkish Government. Three 60 minutes TV documentaries were made about their musical lives by the French ARTE, German ARD and Turkish ATV, which were shown many times throughout Europe.